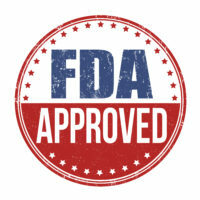 In a decision which to some medical experts appears controversial, the Food and Drug Administration (FDA) has approved a new power morcellator device for sale on the U.S. market. Power morcellators have come under fire in recent years for causing cancer to quickly spread throughout a patient’s body, and the devices have already become the subject of numerous lawsuits. Morcellators are electric devices which were often used to remove uterine fibroids during hysterectomies. These devices, however, were quickly linked to the spread of uterine cancer. A small percentage of women – roughly one in 350 – undergoing hysterectomies or fibroid removal have uterine cancer which has not yet been discovered. When a power morcellator is used on these women, the device can cause the cancerous tissue to quickly spread throughout the patient’s abdomen and pelvis. This spread makes the woman’s survival of the cancer substantially less likely. Many hospitals and insurers have since placed substantial limits on use of the devices, with one manufacturer recalling all its power morcellators worldwide, and the FDA has required the devices to carry a black box warning of the associated dangers. Cancer patients whose chances for survival were reduced due to the use of these devices have filed lawsuits all over the country, with morcellator-maker Johnson & Johnson alone likely facing over 5,000 such claims. The newly-approved device is called the PneumoLiner. Its manufacturer claims that the device is able to contain any cancer-containing tissue within the body, making the spread of cancer less likely. However, the ability of the PneumoLiner to reduce the risk of spreading cancerous tissue has not yet been proven. In fact, use of the PneumoLiner comes with numerous risks and is subject to restrictions. The device should not be used on women who are post-menopausal, nor should it be used on women undergoing hysterectomies with fibroid removal. Doctors must undergo a validated training program to be permitted to perform procedures with the device, and the manufacturer warns patients that use of the PneumoLiner carries the risk of damage to nearby organs, as well as a risk of infection or spread of cancerous tissue. If you or a family member have been harmed by an unsafe medical device or drug, find skilled and compassionate legal counsel to assist you in filing a claim for your damages, including expenses from medical treatment and pain and suffering, by contacting the Idaho medical malpractice and dangerous medical device attorneys at Pedersen & Whitehead for a free consultation at 208-734-2552, with offices located in Boise and Twin Falls.